This document aims to introduce C by providing and explaining examples of common programming tasks, and to enable the reader to learn from available source code by clarifying common causes of incomprehension. 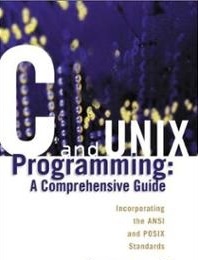 The first part of the document is an informal introduction to C.
If you are already using UNIX, here's the perfect opportunity to learn how to program with the ANSI C standard in the UNIX environment. Basic C concepts are presented in detail, the focus then shifts to intermediate and more advanced programming techniques. Feibel emphasizes the creation of small, specialized functions and programs and on making them work together. In addition, special-purpose libraries, such as creating windows, are discussed.